"Welcome to Orting." 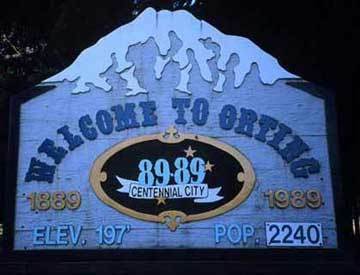 The influence of Mount Rainier on the consciousness of Orting residents is apparent in this sign, which greets visitors entering the city. Photo: Courtesy of Dr. Stephen M. Pompea, Pompea & Associates.